TSB said on Thursday it has taken direct control of important parts of its IT infrastructure away from Sabis, the in-house IT provider of TSB’s Spanish owner Banco Sabadell. TSB is still recovering from an IT meltdown last year. Sabadell chairman Josep Oliu said on Wednesday TSB could be sold after it completes its turnaround. 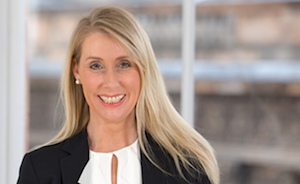 TSB announced in November that Debbie Crosbie, chief operating officer (COO) at Clydesdale and Yorkshire Bank owner CYBG, would join TSB as CEO in 2019. Crosbie replaces Paul Pester, who resigned in September. “TSB is a retail bank with a costly structure, it has to be turned around, for that it needs three years, an adequate return (on equity), then it can be a candidate to enter into a consolidation process,” Oliu said a day before Sabadell’s annual shareholder meeting. “A merger or a sale are options,” he said. Reuters reported on Tuesday that new CEO Crosbie — expected to take over at TSB in just over a month — will work on a plan to slash costs, including potential staff cuts and relocations. TSB said on Thursday: “We’re now at the stage where we need to move our focus to optimising the Proteo4 platform for the future. “A key part of this is having closer control over our technology in TSB, including changing the way we contract and work with Sabis and other technology suppliers, while also finding cost effective ways to serve our customers better. “In the coming months, we will take direct ownership of our banking platform, including direct contractual relationships with the third party technology suppliers. “At the same time, we also want to build significant new technology capability in TSB in order to allow us to innovate faster. “That’s why, today, we are announcing important changes to the way we run technology at TSB. “Mike Errington, who has been working at TSB for the past three months, becomes our Chief Information Officer (subject to regulatory approval), focused on the work to take full ownership of our platform, optimise it and create new technology capability within TSB.